Mexico City’s newest addition to their army of museums. 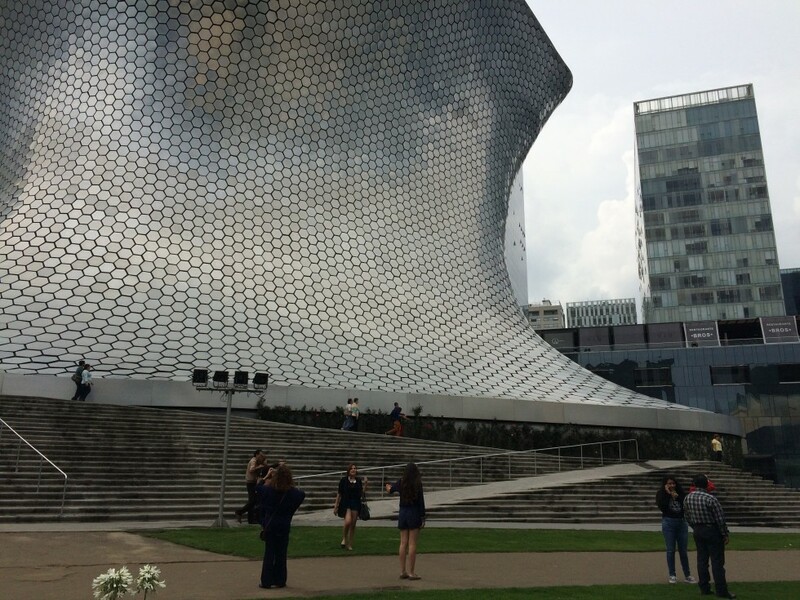 Soumaya was build in 2011 by one of the world’s richest men Carlos Slim. 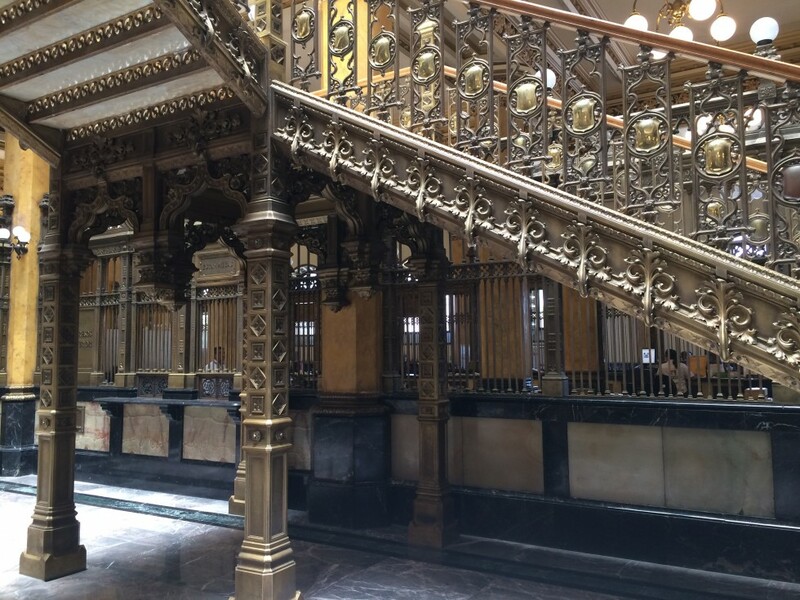 The museum has six levels, and it is Mexico’s most visited art museum. 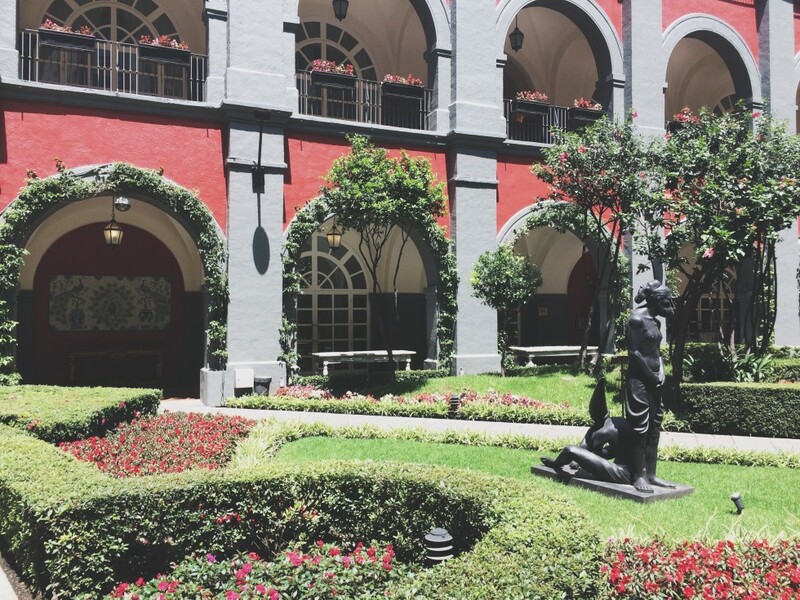 The museum holds a great collection of thousands of pieces of art pieces of art from the 15th to the 20th centuries including pieces by great artist such as Salvador Dalí, Diego Rivera, Pablo Picasso, and Claude Monet. Not only the art of the museum is amazing, also the building is very spectacular and unique, a 46 meter tall space-looking building, builded upon a elevated base and surrounded by 16.000 shiny hexagonal tiles. Entrance is free. 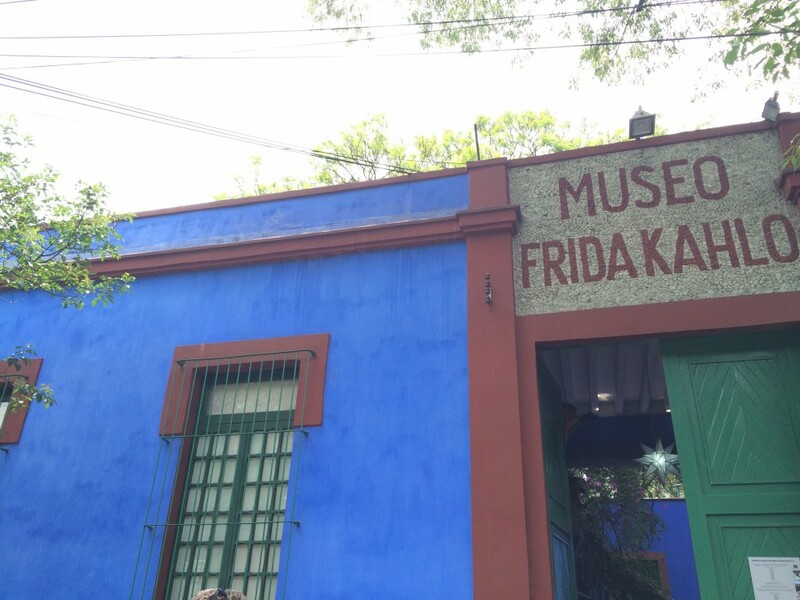 In the borough called Coyoacán, the Frida Kahlo museum also known as La Casa Azul (the blue house), which is a fair description of the house that is very blue. The lines for the museum are usually more than long, but for 8 dollars, guests can skip the line. 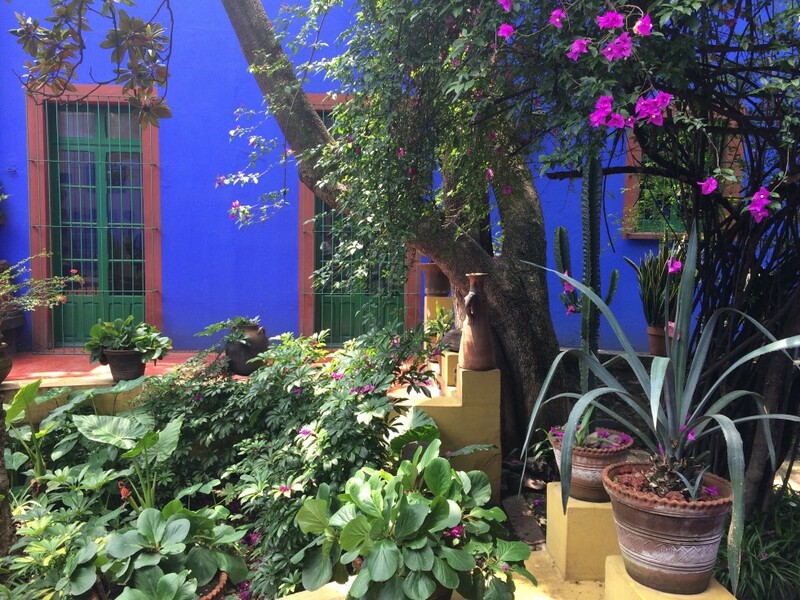 The house is a great experience, and not only for art interested people or Frida Kahlo – lovers. The house contains so much more. 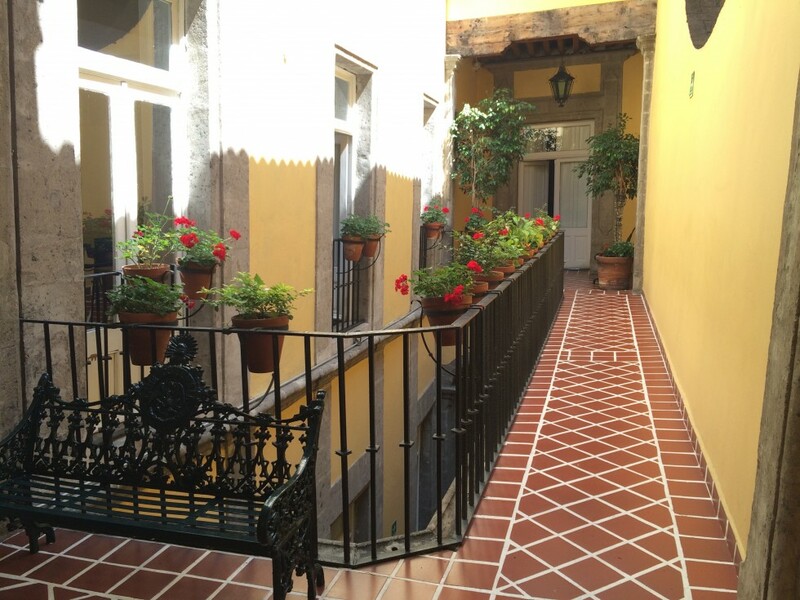 The house shows the original furniture, decoration, Frida and Diego’s private art collection, plus some of their works and it is fascinating to get an insight to how the two big artists actually lived. The house shows the artist couples lives and tells their stories. Besides from the inside of the house, there is also a special, jungle looking garden guests can walk around in. 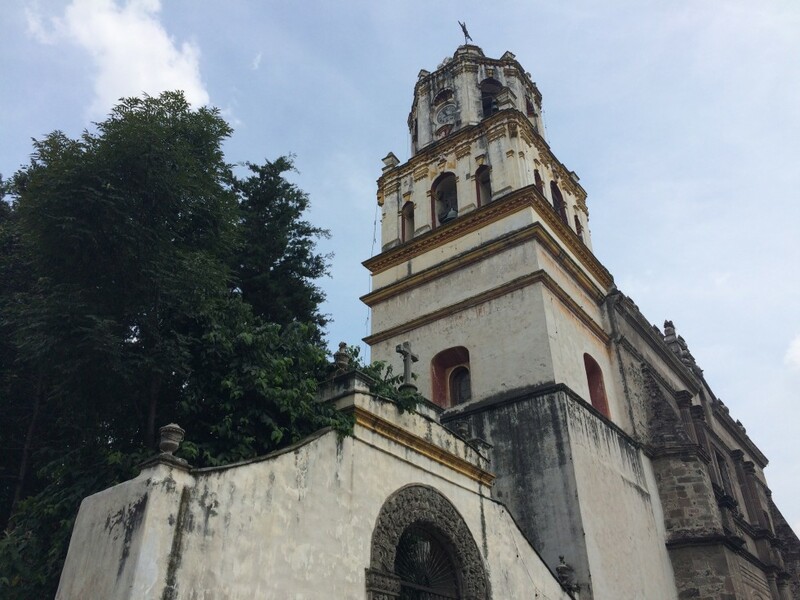 Condesa is described as being the hip, young, and bohemian area of Mexico City, and that description is right. Condesa is the place where you can walk around and just look at stuff, find great little places to eat, drink, or simply just sit down in the park and chill. 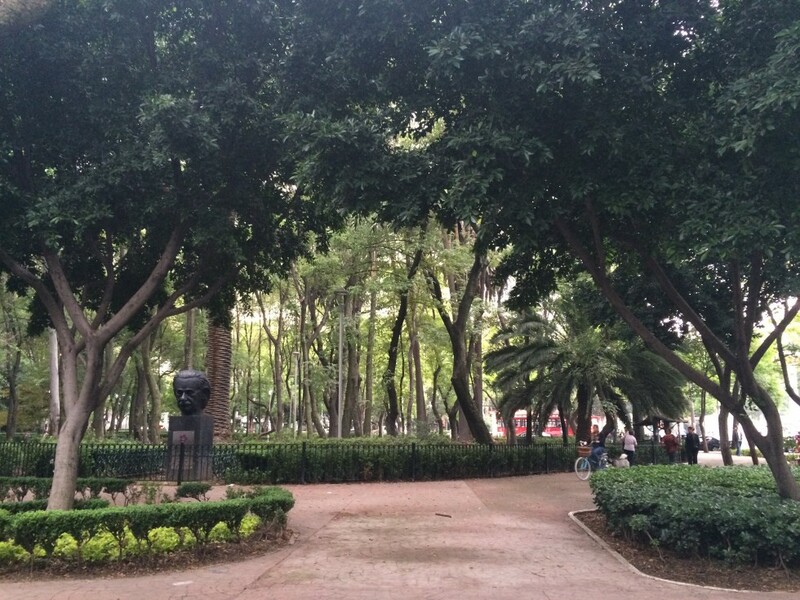 Take a walk on Amsterdam, a circular street, and you will be able to discover some of the great finds of Condesa. 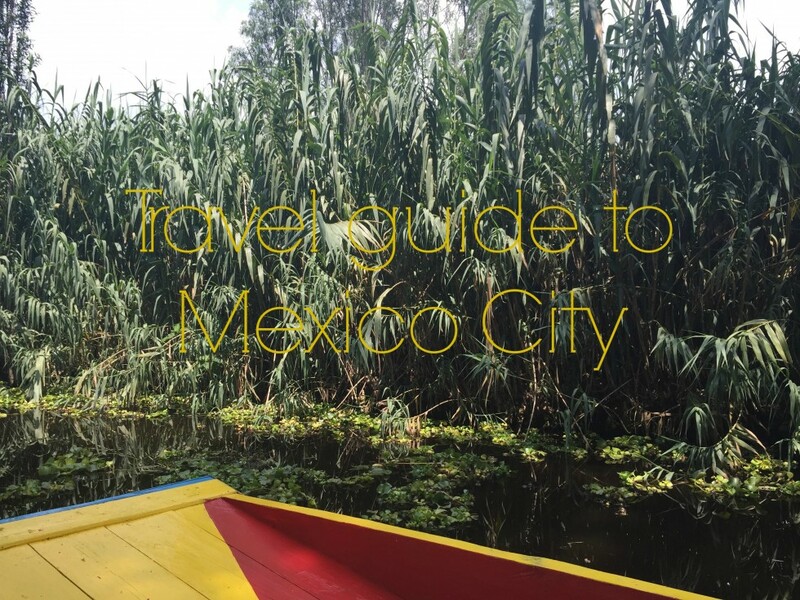 Located about 20 kilometers from Mexico City’s city center, Coyoacán makes the perfect half-day trip (visit here the Frida Kahlo Museum). 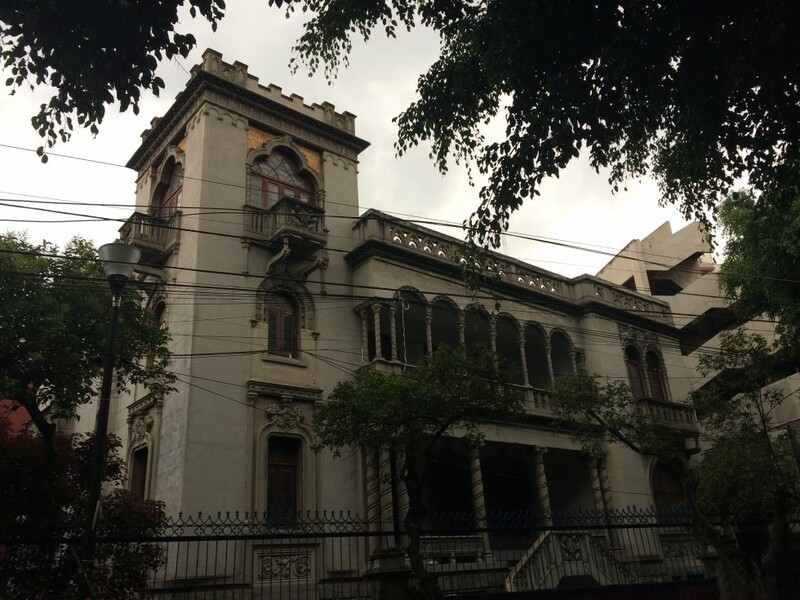 Coyoacán is a beautiful, well-kept borough with most architecture deriving from the colonial period, which makes the city astonishing to walk around in and simply look at the old buildings every where. The district is especially popular on weekends, where guest will find happy days here. Dancing older people on the public squares, markets everywhere, and not to forget the cultural sights the area has to offer. 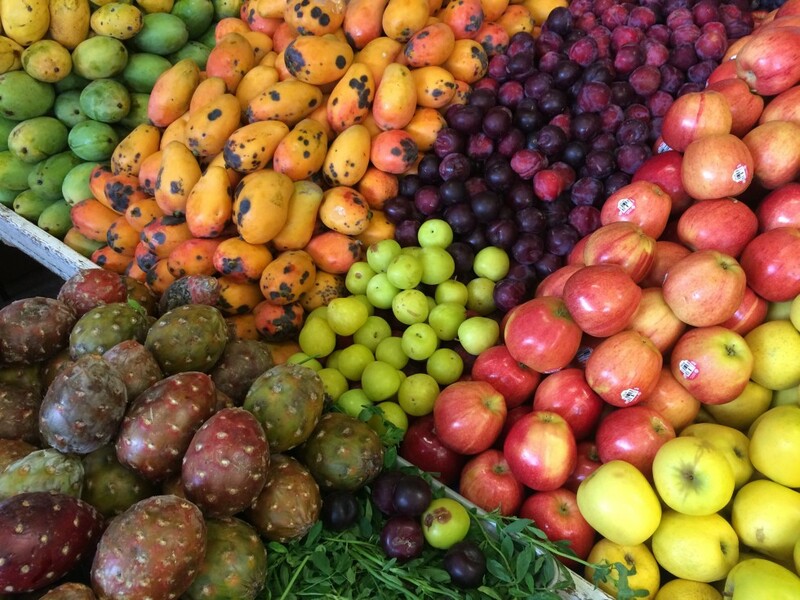 Coyoacán also has an indoor food market, which is definitely worth mentioning (see markets). 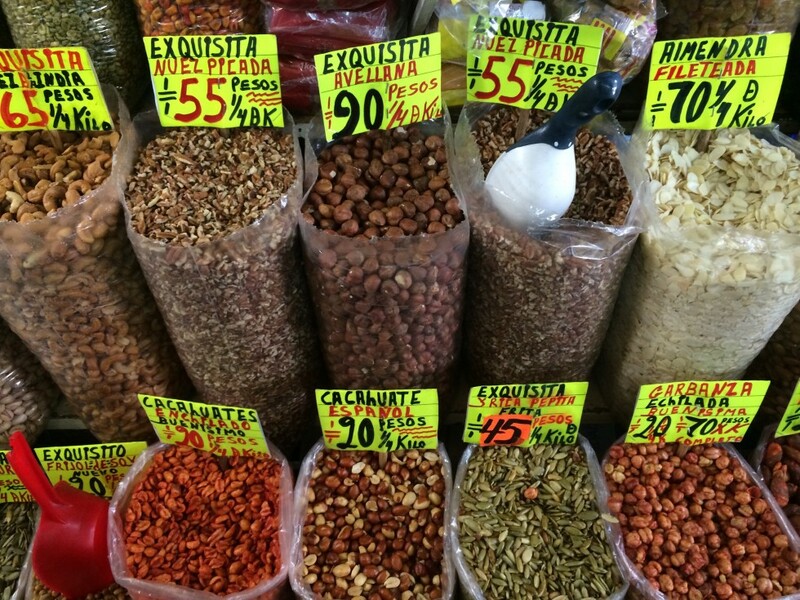 Mexico City is the home to several amazing markets. 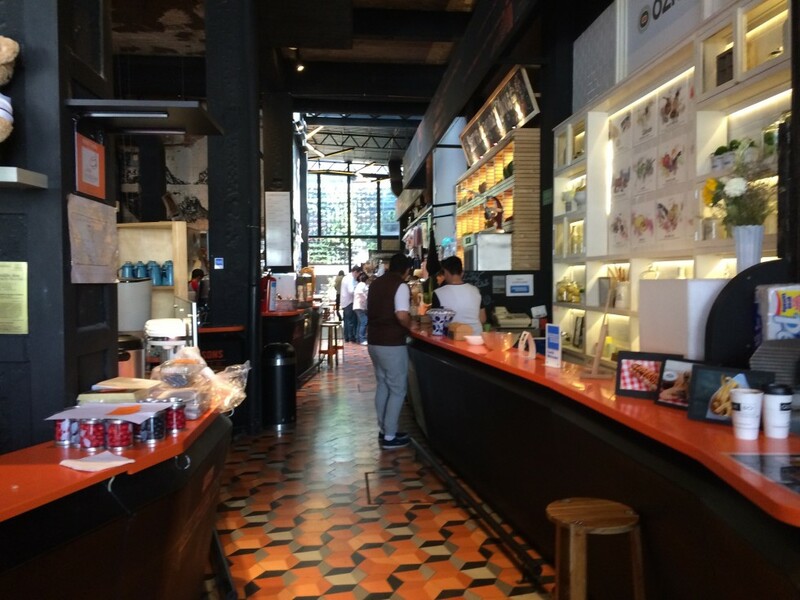 We went to a couple different ones, one in the area of Condesa, another one in Coyoacán. 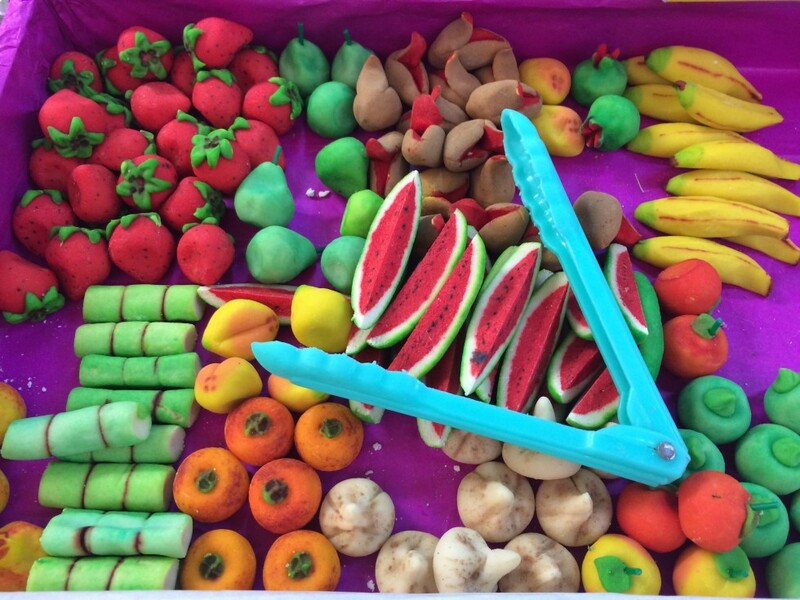 Both were lively, colorful places, where you can find everything your heart desires, especially if you like food, candy, fresh fruits and vegetables, these markets are definitely something for you. The markets are filled with people that are busy shopping, bargaining, and eating. Some of the restaurant stalls have a couple of chairs where people can sit down, point at what kind of fresh food that is displayed they want to indulge in, and next thing they know, food is served. 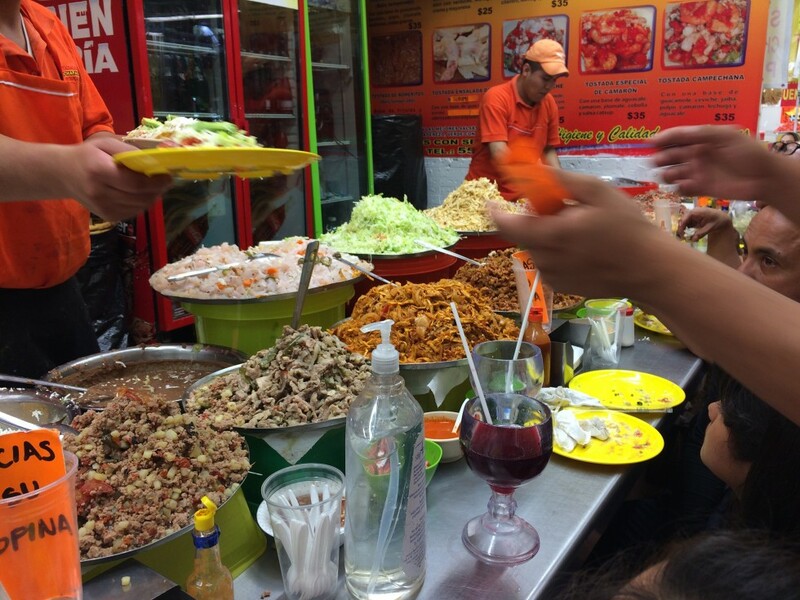 The food is for sure defined as real street food, but fear not, it is really good, and if you want to have an authentic Mexican meal, this is the way to go. 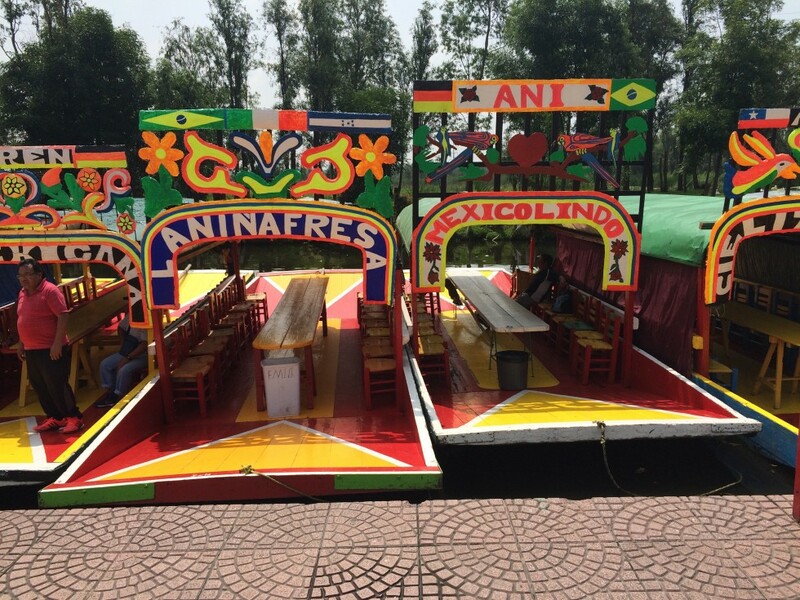 About a 40 minutes drive from the center of Mexico City, the canals of Xochimilco are located. 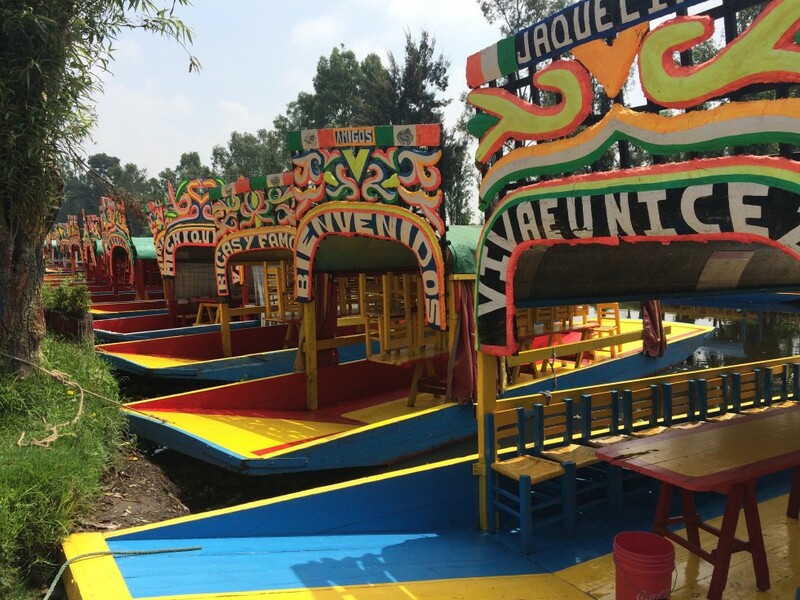 The canals attract tourists because of their colorful trajineras (gondola-like boats), where you for around 20 dollars can get a two hour boat ride around the canals. The boats look absolutely amazing, and going on a ride with them is a very special and peaceful experience. 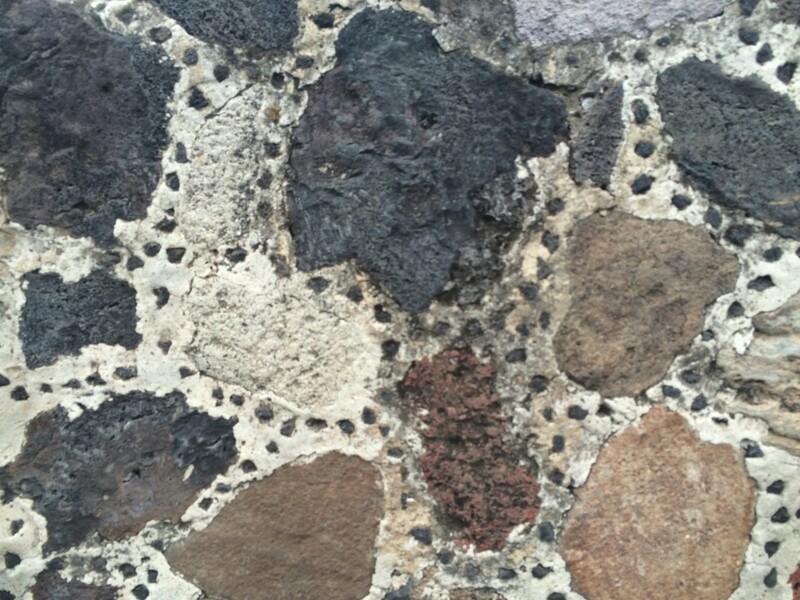 About 50 kilometers northeast of Mexico City, history has left its mark. 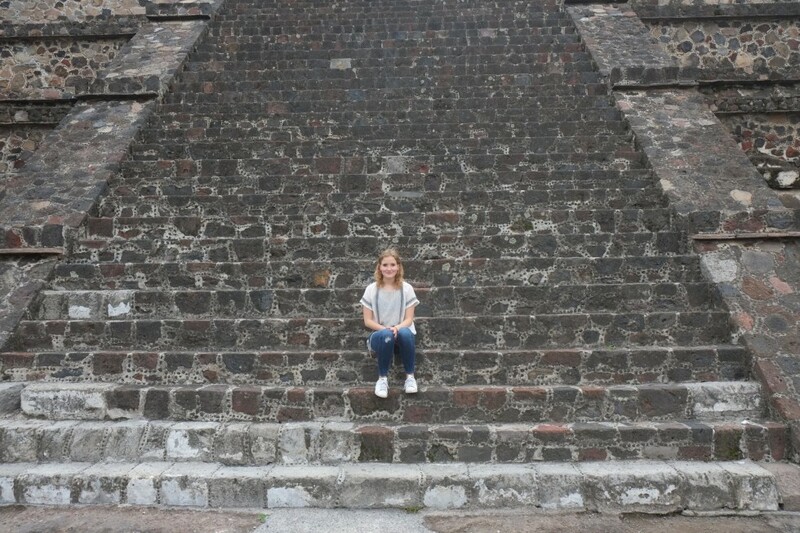 Go here to see the complex of pyramids and temples of Teotihuacan, build over hundreds of years from around 100 BC. The walk up to the tallest and biggest of the pyramids that is 65 meters tall is fun but tough and takes you up some very steep steps. 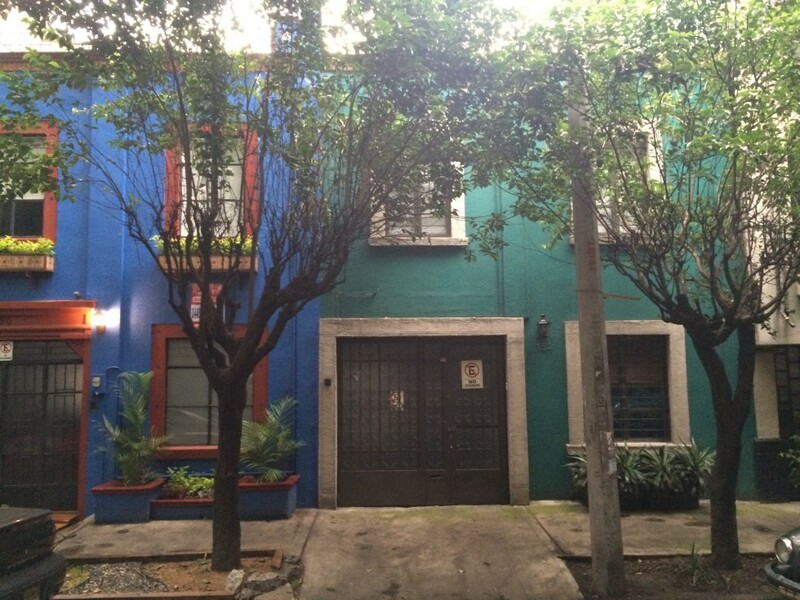 The easy part about Mexico city is that most of the main sights are located around the historic districts. Go here to wander the streets and see all the colonial architecture, visit Palacio de Correos de Mexico (an astonishing post office), enjoy the little park called Alameda Central, see Casa de los Azulejos (in English “the house of tiles), it is beautiful both on the inside and the outside, and it has a nice café with amazing paintings on the walls, and don’t forget to walk to the big square where both the huge Cathedral Metropolitana and the ruins of Templo Mayor and not to forget the Palacio Nacional can all be found. 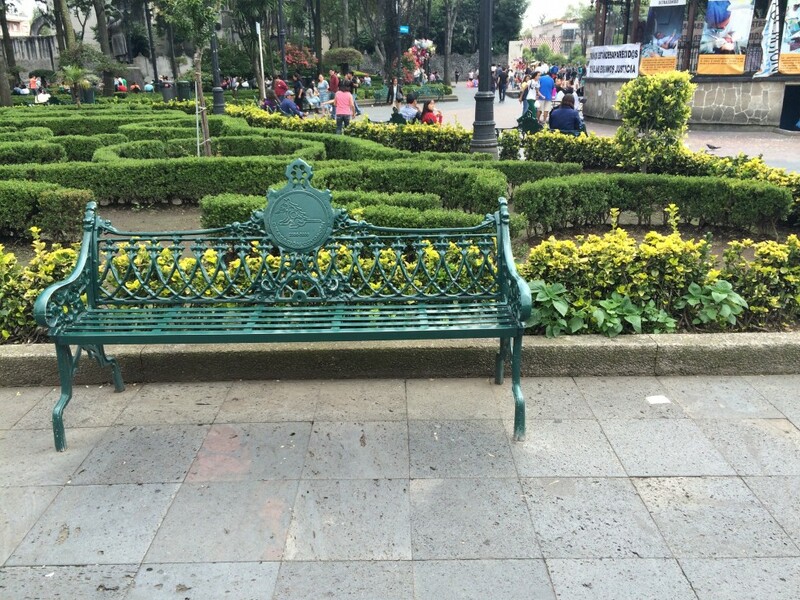 The inhabitants of Mexico City describe this area as being the posh area of D.F. 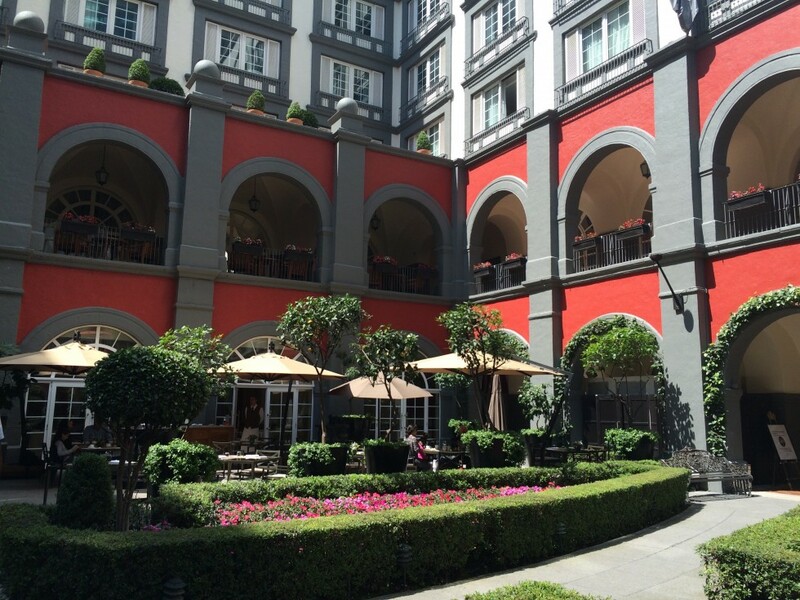 Polanco is one of Mexico City’s neighborhoods, and here you will find all the high end fashion stores like Prada and Hermes, beautiful parks, and also the best restaurants for fine dining. 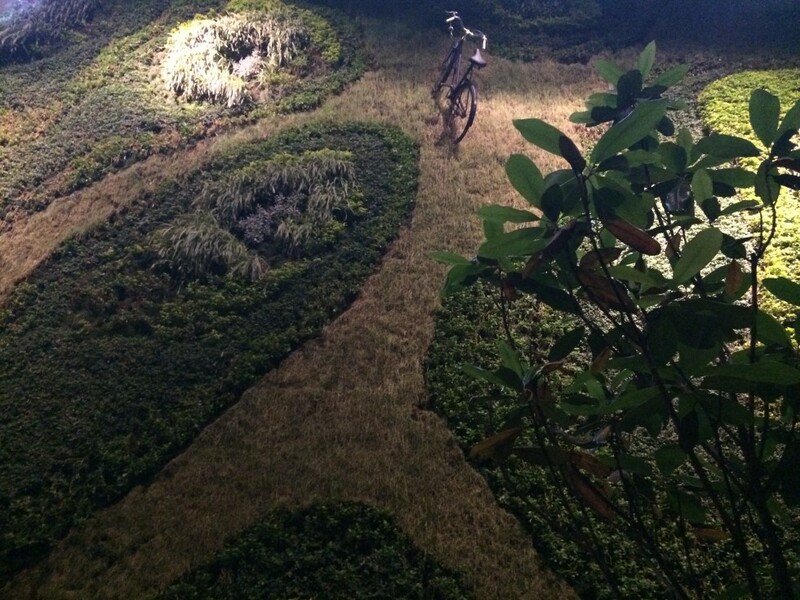 This place stands out because of its vertical garden, a garden with trees, plants, grass and a bicycle made on a wall. 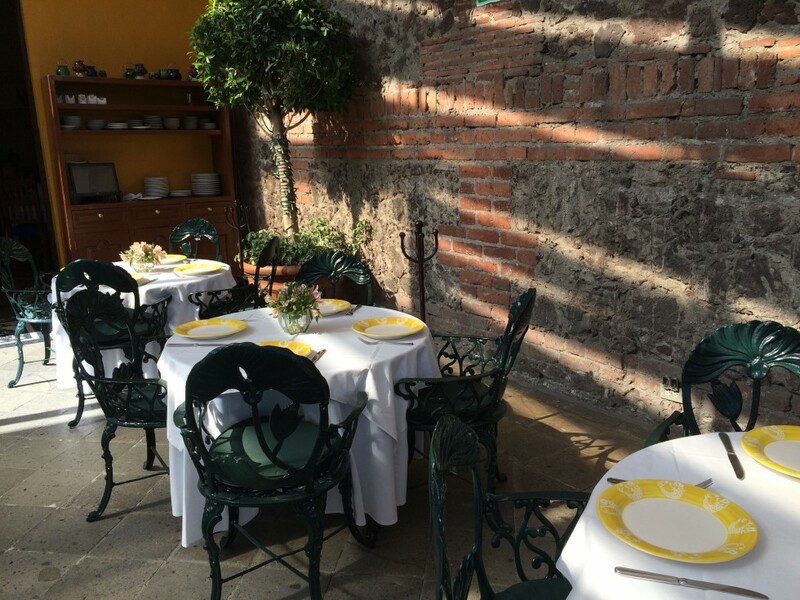 Puntarena is located in the middle of the busy Centro Histórico, but inside of the garden restaurant you will find ease and great food. The food is a mix of Mexican food and seafood, and if you are a fish and seafood eater, this place will definitely suit you. 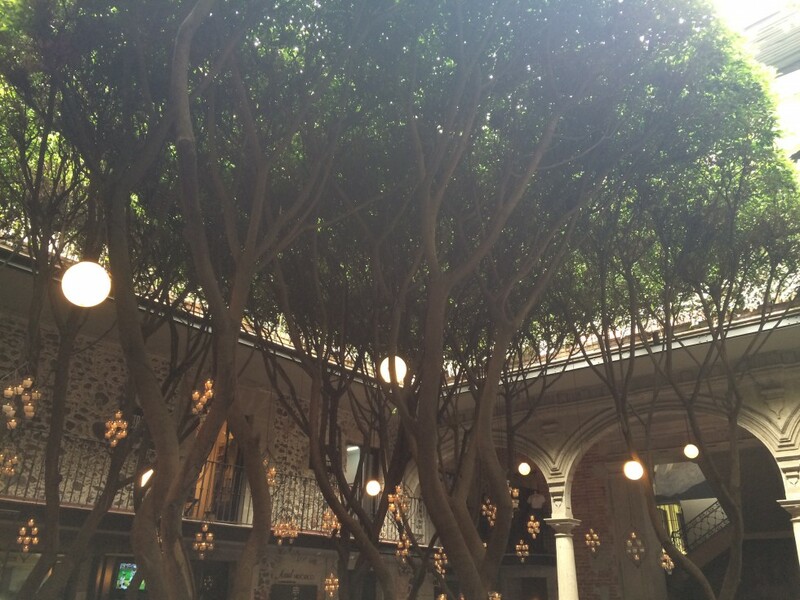 Romita Comedor is a hidden gem and you have to know the location of the restaurant to get there. 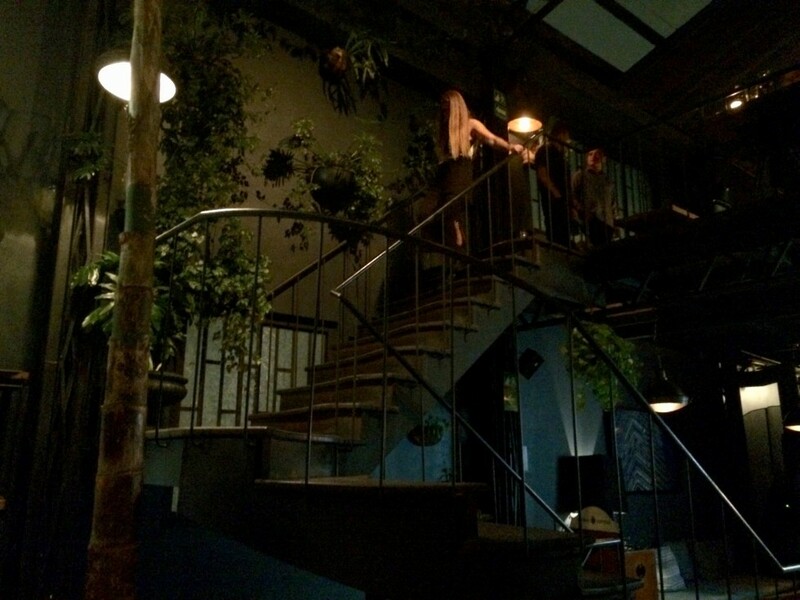 To enter the restaurant you first have to walk into the building, then walk up the stairs to the second floor. 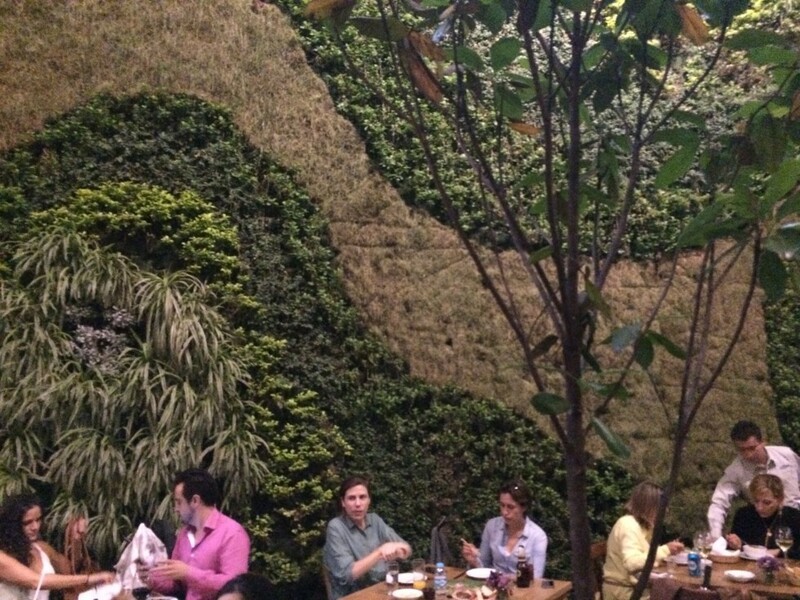 Here you enter a beautiful two floor restaurant, which looks like a green house. Everything is hip and cool here, from the striped colorful napkins, to the people who come here to eat, and the decoration – plants and trees everywhere and big panorama windows. 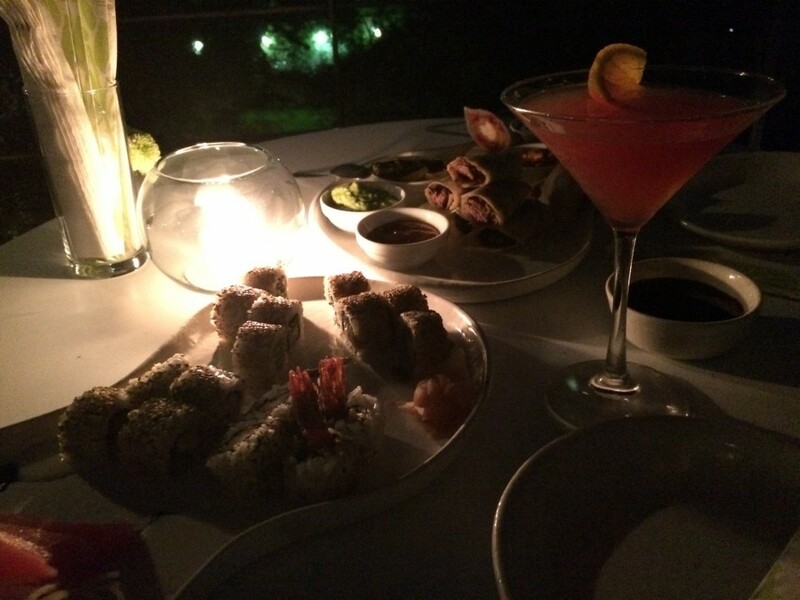 The food is a really tasty mix of seafood and Mexican food, and the drinks are to die for. 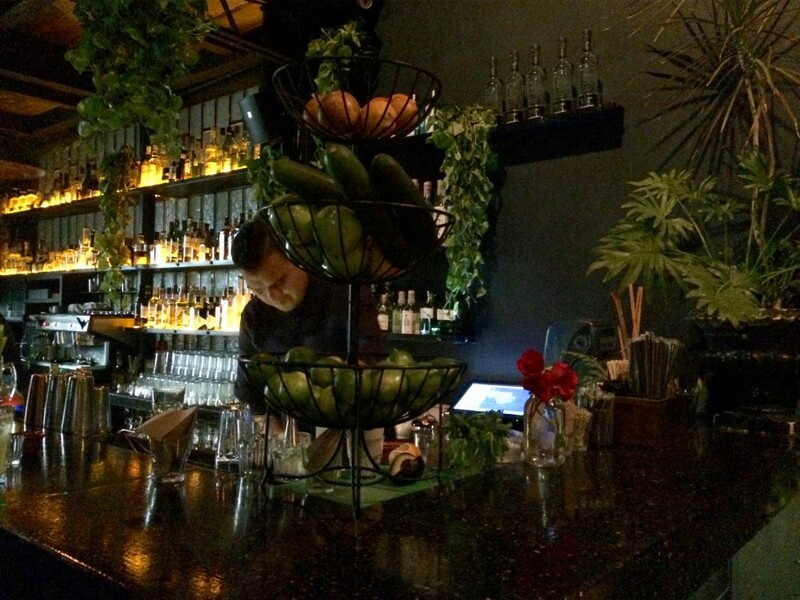 We tried the avocado martini, and it was, without lying, the best drink I have ever tried. 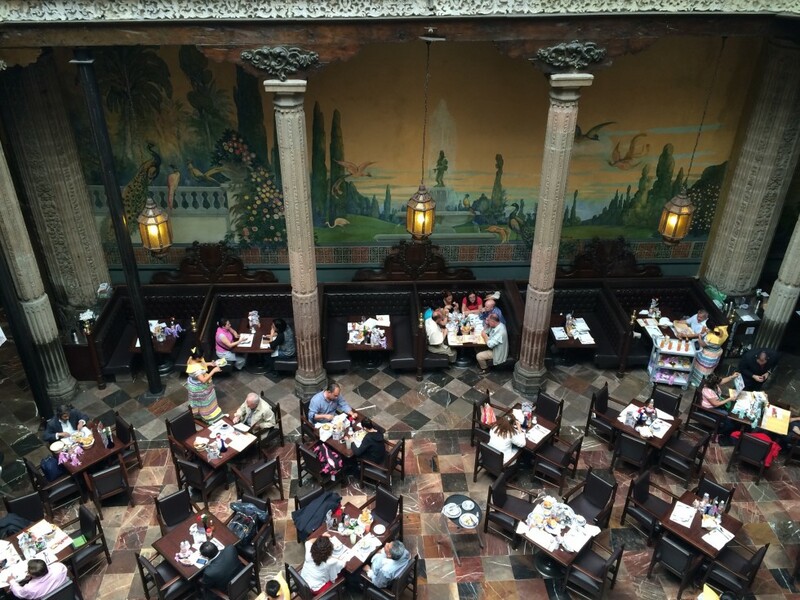 Somebody told us that this is where the hipsters of Mexico City go, so of course we had to check it out. 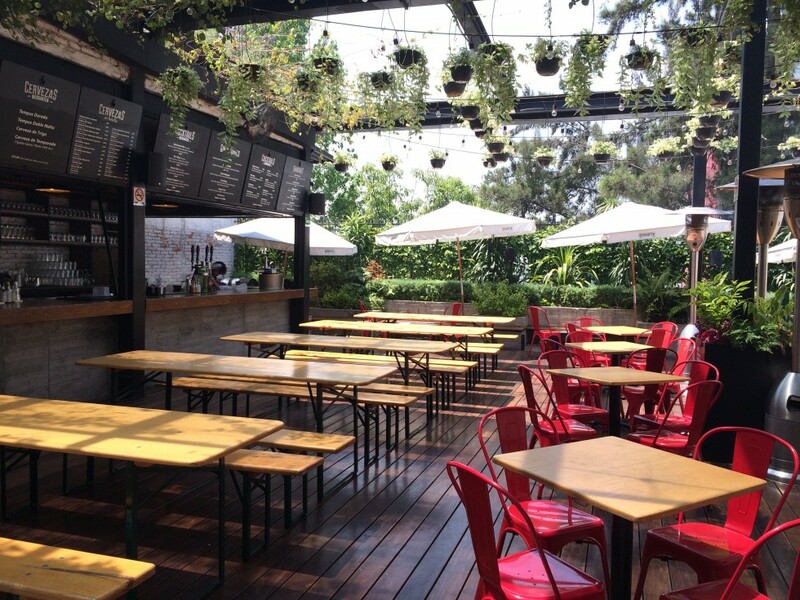 Condesa DF is a hotel, and besides from being that, they also have two restaurants – one on the main floor which serves French food, and one on the fourth floor, a roof top terrace (La Terrazza) that serves sushi and good drinks. 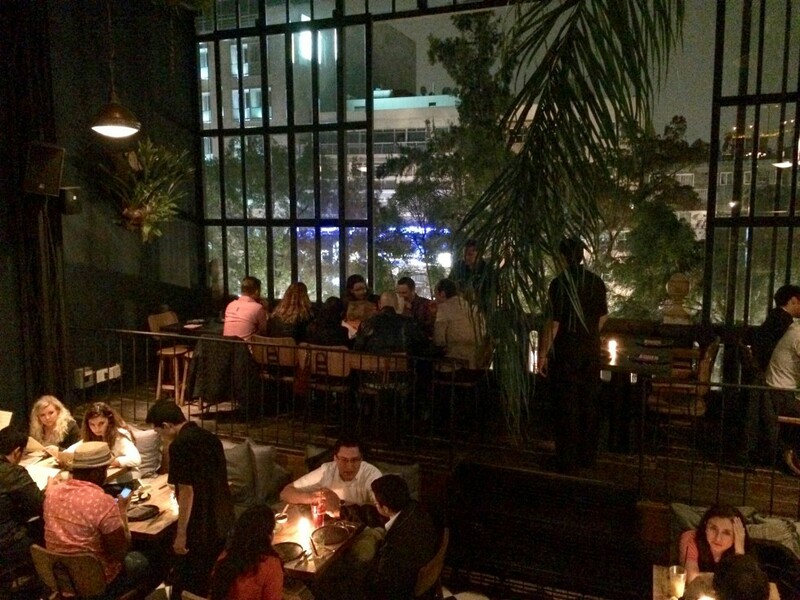 Go here for electronic music, hip people, a good view on Condesa, and drinks. When walking around the historic district and being a good tourist visiting all the big sights that D.F. has to offer, you of course eventually need to refill your energy depots with food. La Casa de las Sirenas is a very good option for this. 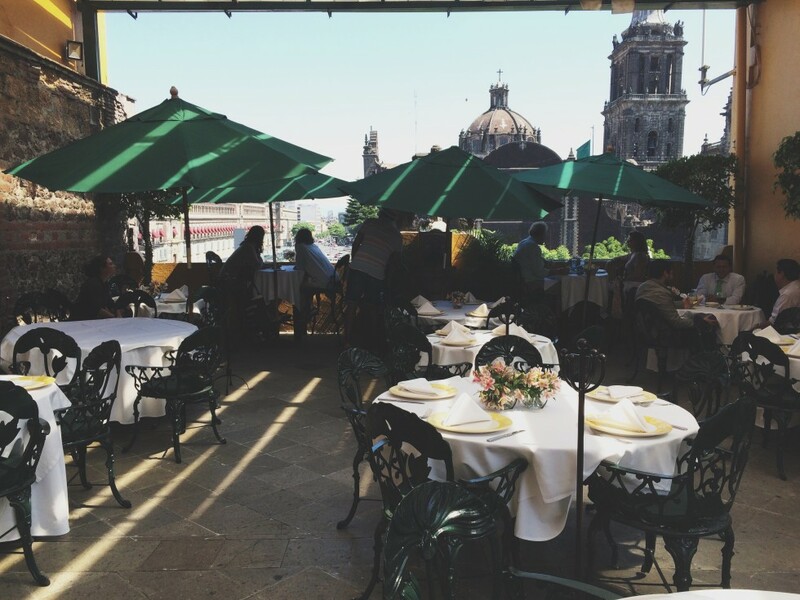 Not only do they have good classic food, they also have the cutest roof top with an amazing view on the ruins and the cathedral of Centro Histórico. 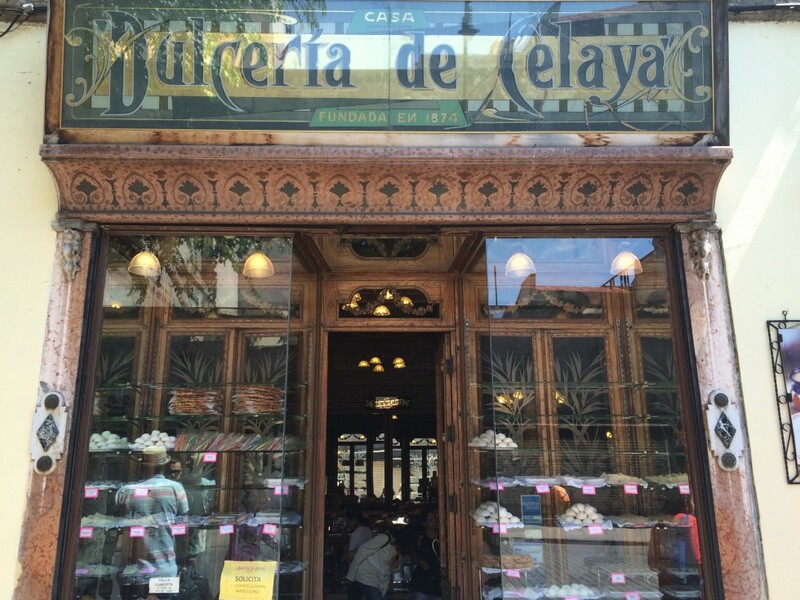 For a quick energy and sugar-filled snack, a visit at Dulceriá de Celaya is a must. 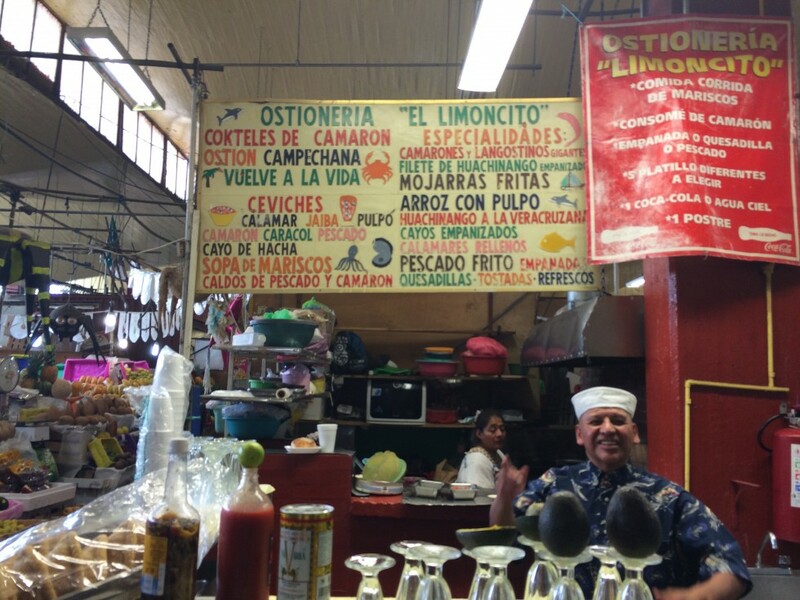 The little confectionary store was founded in 1874 and it is a classic spot in D.F. 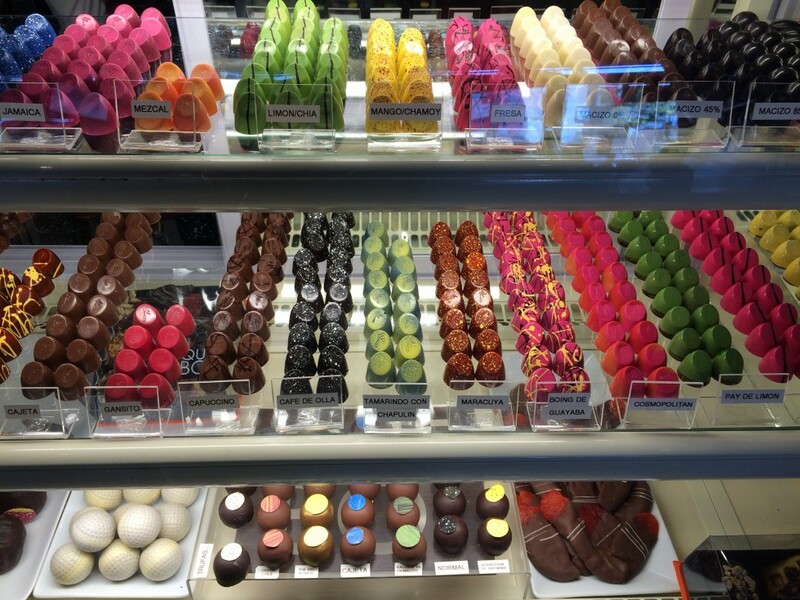 It has beautiful floors and ceilings, and the cakes, nuts, and other Mexican sweet delikatessen look amazing displayed in the glass vitrines. 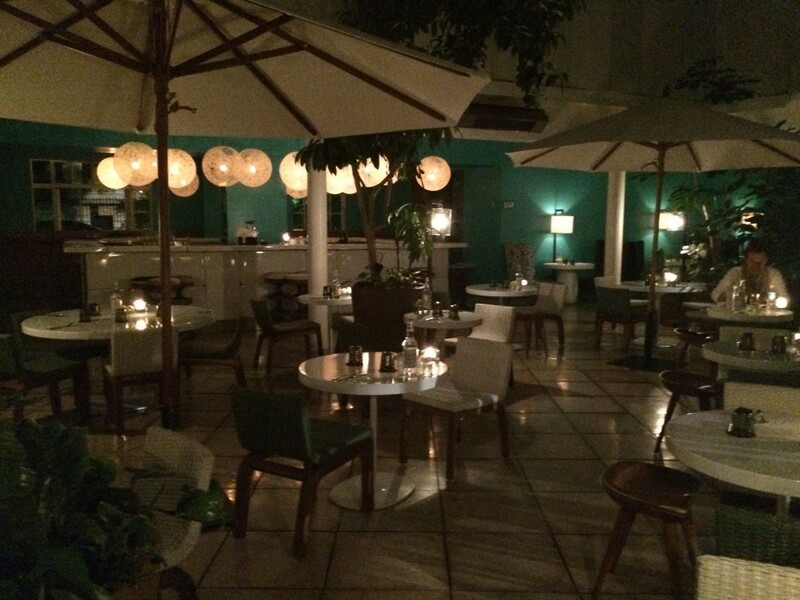 We made it to Biko, a restaurant that can be found on the top 100 list over the best restaurants of the world. That experience was very special. Of course, the restaurant had a great ambient, the staff was nice and very observant, but the food has its own story. Every heard of foie gras wrapped in little leaves covered in cotton candy? Me neither, but Biko serves it, and whether you think it sounds weird, silly, or great, it is always fun to try different and new food. If you at one point feel like you miss classic breakfast options like granola, berries, waffles, green juices, scrambled eggs or pancakes, Four Seasons has you covered. The hotel has a beautiful eden-looking garden, and here you can enjoy a great breakfast in the peaceful garden. Hip street food markets are on the rise, and Mexico City is no exception, so of course there is a cool street food market in this city too. 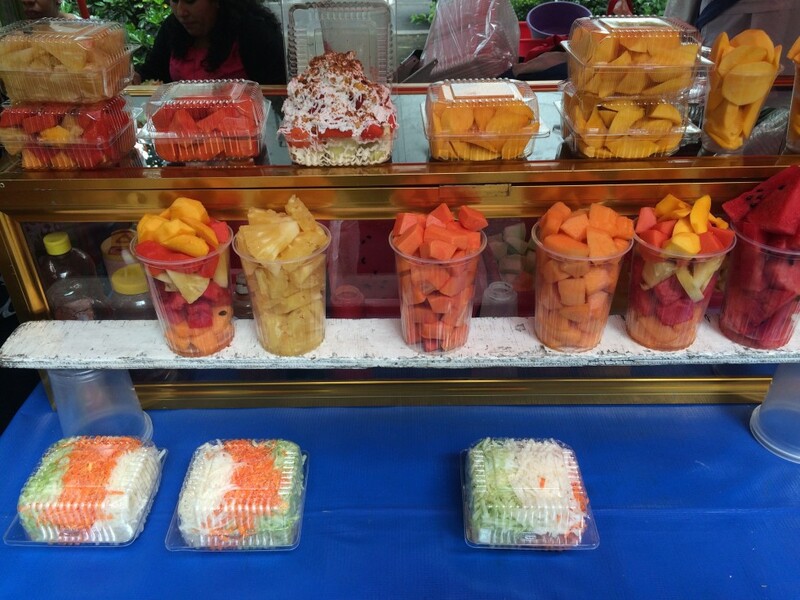 Mercado Roma is situated in the Condesa neighborhood, and in here it is a very difficult decision what you want to eat, because there are booths and stalls with all kinds of food, sweets, juices, ice creams, and baked goods. We opted for Mexican food (when in Mexico), and behind the market there is a cute court yard where you can enjoy your food. On the second floor there are actual restaurants and on the third floor a Biergarten is located. 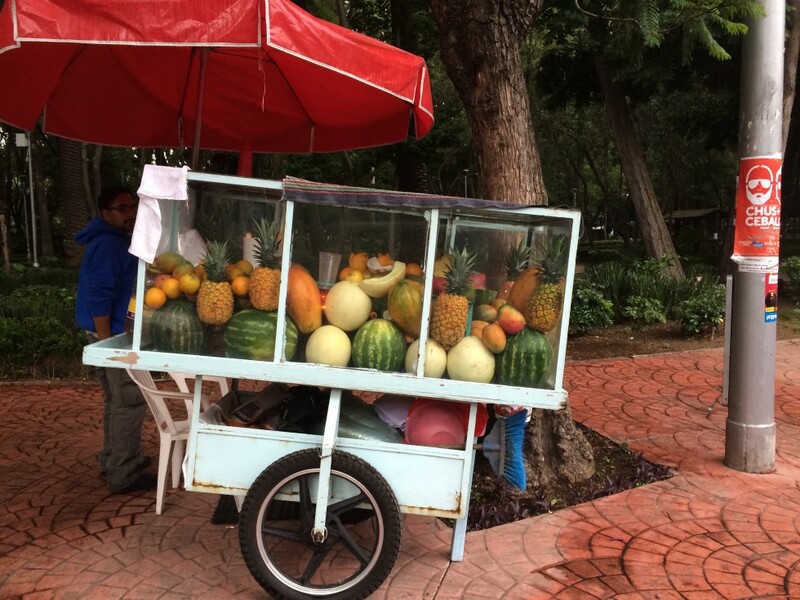 Almost everywhere you go around the city, you will find booths on the street selling cups of fresh cut fruit, berries, mangoes and fresh coconuts to drink. A great choice for a snack or a light breakfast. This recently build mall shows that Mexico City is not poor. In this outside mall you will find all the wellknown chain fashion stores such as Zara and Mango but also the more exclusive brands such as Cartier and Chopard can be found here. 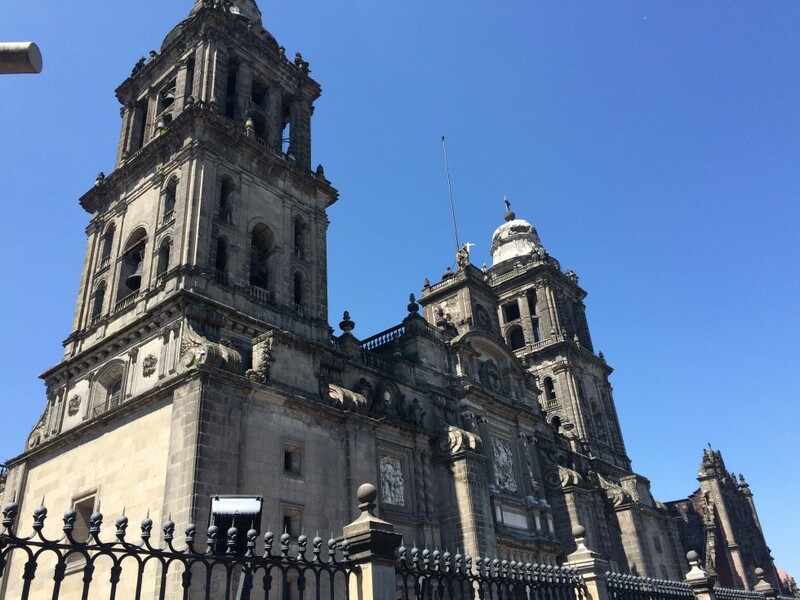 We only had four and a half days in Mexico City, and keeping that in mind we actually did and saw quite a lot. If we had had more time there, I would have gone to Anahuacalli Museum, a museum build of volcano stones created by Diego Rivera, Frida Kahlos husband. It shows a great collection of pre-Hispanic pieces plus a good collection of Riveras own art. 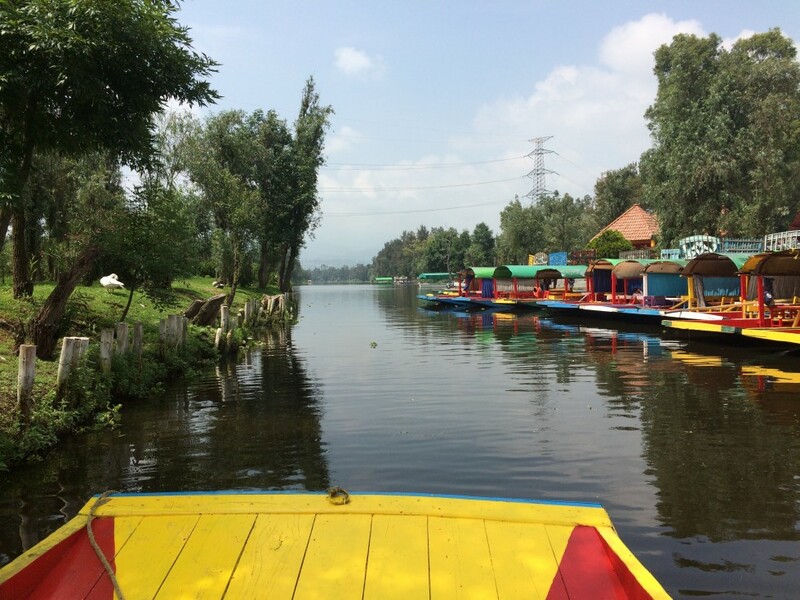 I would also have spent some time chilling in the huge park – Bosque de Chapultepec where you can also rent boats and sail around the lake inside of the park. 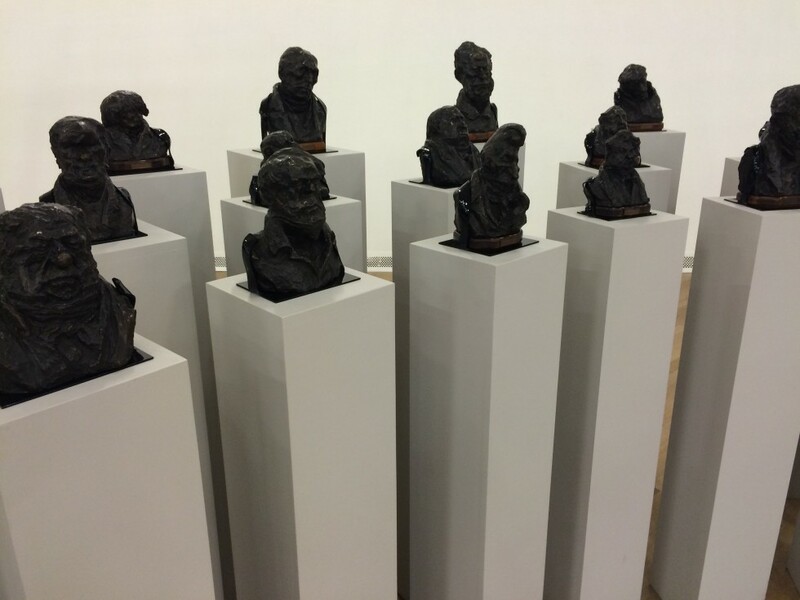 I would have taken some time to look at modern art at the San Ildefonso museum (so many museums in D.F. so little time!). 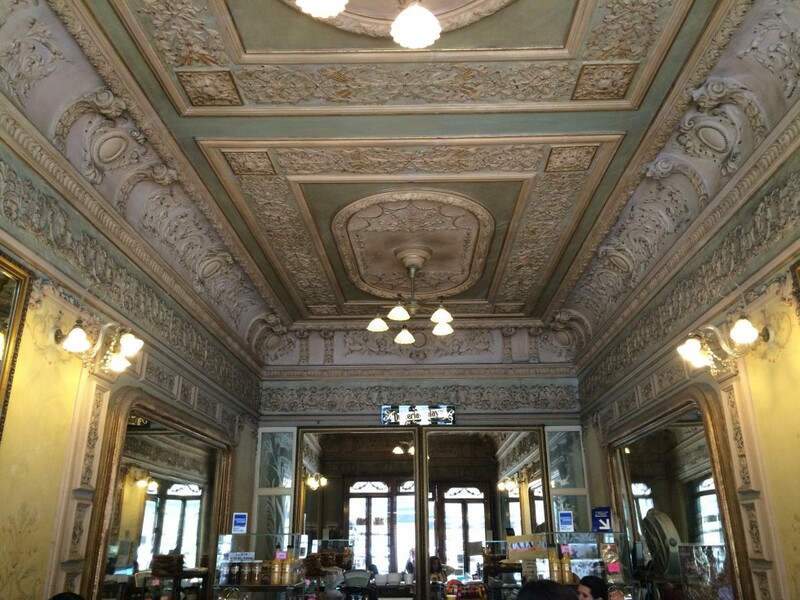 I would have had a sip of coffee inside of the very beautiful bookstore Cafebreria El Pedulo. 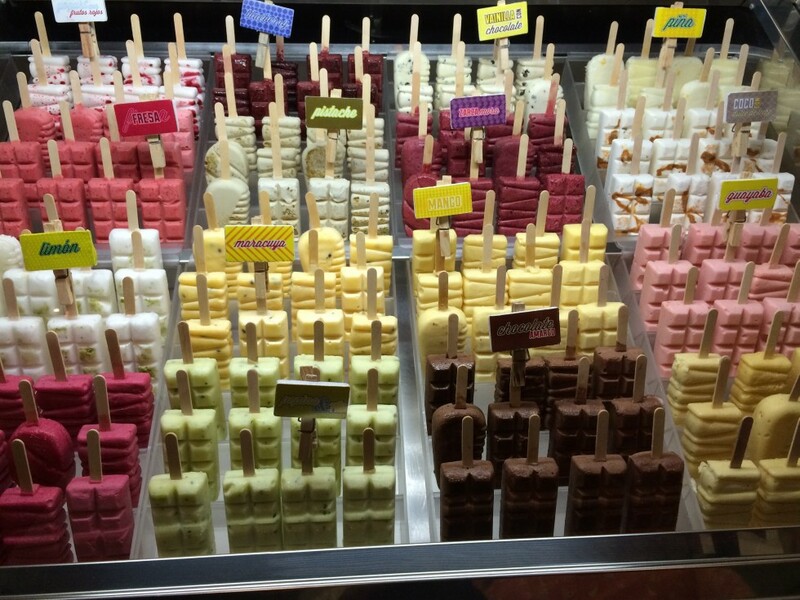 If it got to hot, I would have cooled down with an ice cream from Neveria Roxy, Mexico City’s favorite ice cream spot. 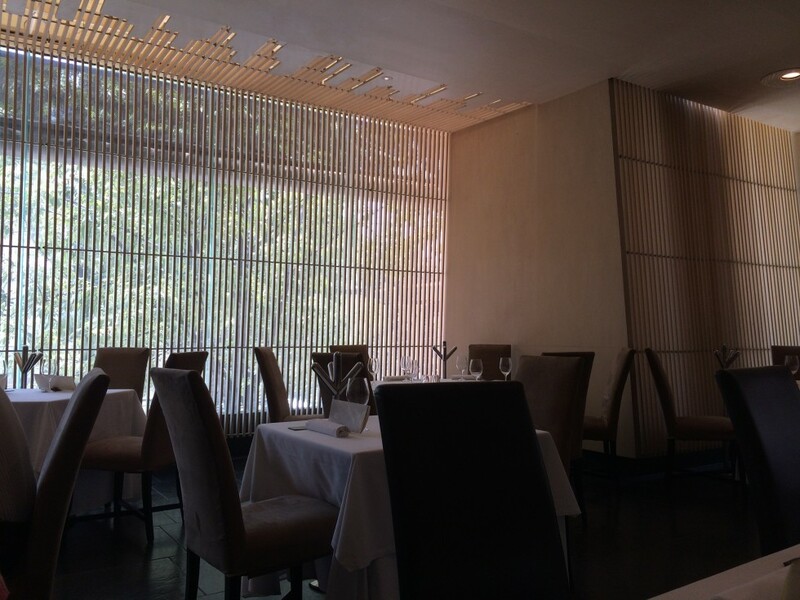 I would have made dinner reservations at Rosetta or Pujol, two of the world’s best restaurants, which because of their popularity require reservations. 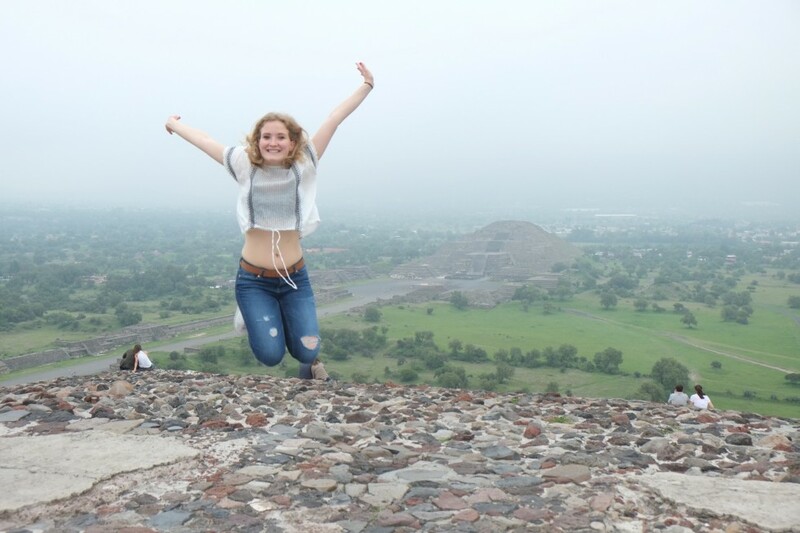 I would have indulged in churros at El Moro, which is probably the only place in the world that offers churros 24 hours a day, and last but not least, I would have climbed El Angel, a golden angel and an iconic symbol that marks the 100th anniversary of Mexico’s war of independence.